Owls are everywhere in Vermont this winter! Snowy owls have migrated south from the arctic in search of prey, making this winter an irruption year. Snowy owls sightings have been reported statewide and across the northeast. But snowy owls aren’t the only raptors taking residence in Vermont this winter. 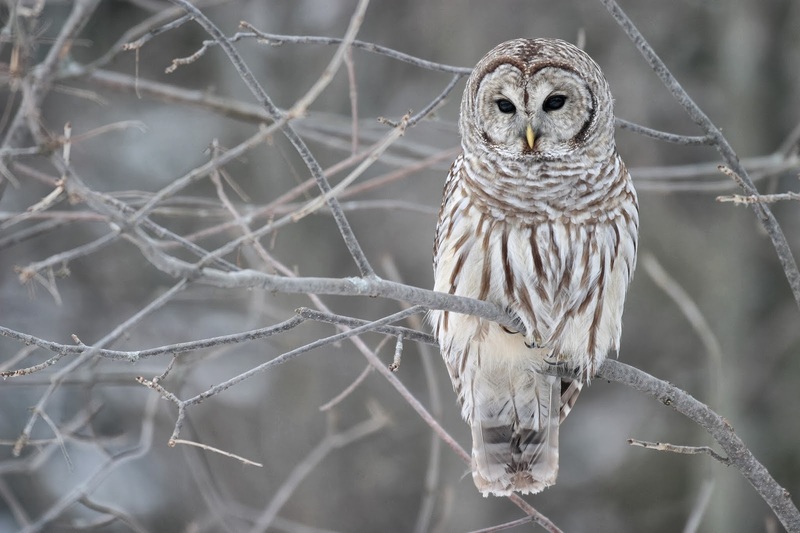 The barred owl, Vermont’s most common, doesn’t migrate and populates the state’s forests all year long. On Sunday morning February 9th, over 70 people made the journey across frozen Lake Champlain to visit KnightIslandState Park. They came by foot, skates, skis, & sleds. As they crested the snow covered shoreline near the ranger’s residence they were welcomed by a crackling campfire and VermontState Park volunteers serving hot cocoa. The hot beverages were graciously provided by the local business Hero’s Welcome. The nearly four mile round-trip trek was part of the town of North Hero, Vermont’s annual Great Ice celebration. Adventurers took advantage of the thickness of the ice this year (2-3 feet), the recent snow, lack of wind, and beautiful cloudless blue skies. They walked around the trails of the islands interior, while others cross-country skied on the lake around island’s perimeter. Nature abounded—fresh deer, turkey, mouse and fox tracks in the snow, while woodpeckers tapped and red squirrels chattered in the distance. The Eastern coyote is an important and relatively new member of Vermont’s ecosystem. They are highly adaptable mammals with a divisive history in the state. 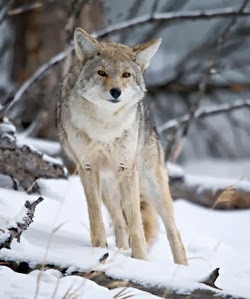 Coyotes began to appear in Vermont in the 1940s. Development in the western United States led to the loss of their habitat and they began to move eastward through southern Quebec and Ontario. It is believed that along the way they bred with the small eastern wolf.